Commented subject 10 BEST GAMES LIKE PUBG FOR SMARTPHONES. 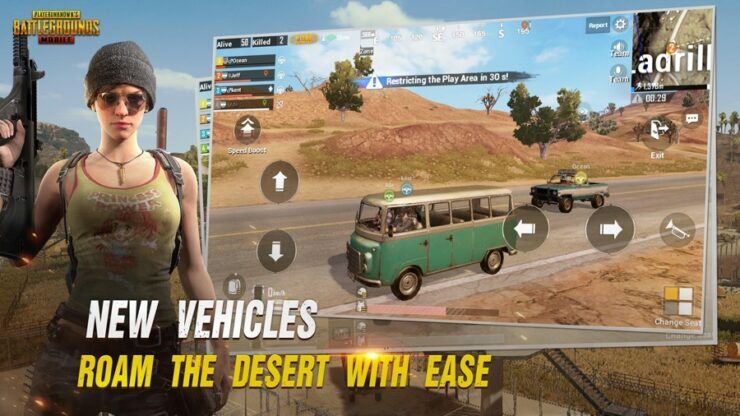 PUBG developer admits >>> "PUBG is broken with 'Fix PUBG' campaign"
PUBG Mobile has been updated to version 0.5.0 for both iOS and Android and it’s loaded with lots of new feature and they've got the complete change-log in one place. 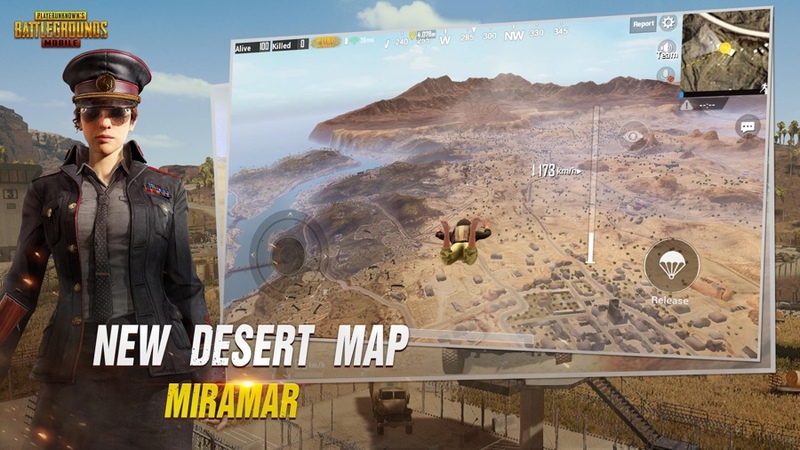 – Desert map (“Miramar”) is now available for selection. See if you can find the new vehicles and weapons! – New Progress Mission: collect progress rewards when you reach new levels, then take on new missions. – Added weekly Activity missions: earn rewards based on your Activity. – Added local quick team feature: enter a 6-digit code to team up with friends that are next to you. – Added Synergy and Connections: interact with your friends in-game to raise Synergy, then build Connections when your Synergy is high enough. – Added Regions: now you can choose your region and flag. – Added language-specific chat channels: there is now an additional channel based on the language of your choice. – Now you can collect rewards for every new tier reached in Season 2. – Added a Shop, where you can preview and purchase new outfits and items. – Added a Secret Stash, where you can purchase special discounted items. – Spectator mode smoothness improved. – Striking sounds and effects added to melee combat. – Parachute camera smoothness improved. – Initial parachute speed increased to match the PC version. – Improved climbing check during running. – Picture styles now available on all devices. – Added sound effects for breaking doors. – Improved display of personal information and results. – Improved team invitation flow. There is a lot of new stuff in here which certain players are going to be appeased by such as a wide variety of new avatars, activity awards, progress awards when reaching new levels and a whole lot more. Those are just few of the changes which you can see at the top, under the hood the game has been improved too. For example, the spectator mode has been given a slight polish for far better smoothness. When you take down doors you’ll even hear a sound effect now too. Unfortunately, I still think updates should be done weekly, because we all know It's a trend eventually, it will become unpopular and then something else will replace it. So I think there's always room for improvement. 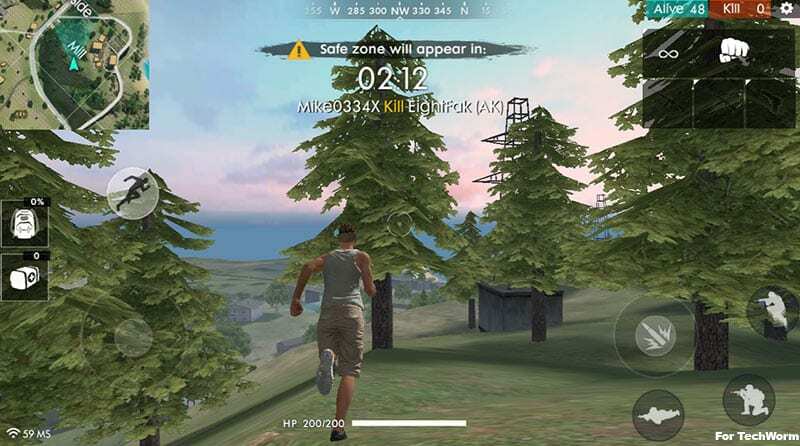 Here are the Games like PUBG Mobile, Battle Royale genre that you can give a try. Among the prominent leaders in this segment are the Rules of Survival. The PC version of this game is fairly popular as well among the old machine users. 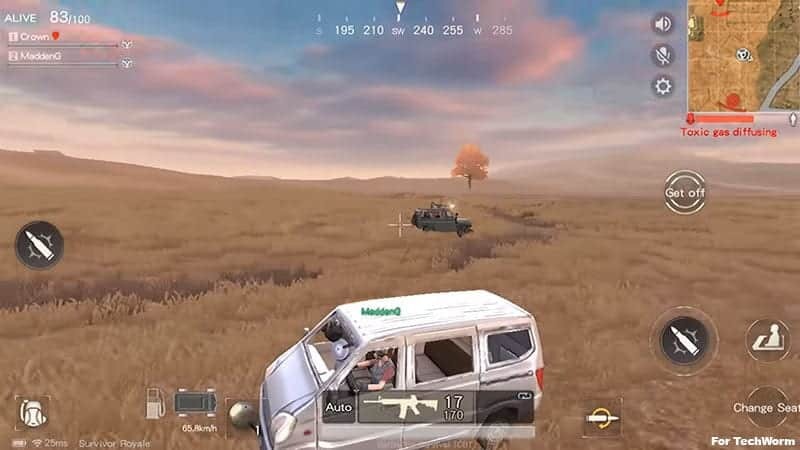 Among the list of games like PUBG Mobile, this is the closest I could find. The game may seem like PUBG but it is fairly good on many fronts. You can customize your character according to your liking before gearing up for the game. Before you battle against on a terrain map with a maximum of 120 players. you get a quick tutorial which trains you the intricacies of the game. The tutorial can take as long as 10minutes, which is, of course, skippable at any point in time. I wouldn’t advise doing that because it is fairly intuitive and fun to learn, given the endless possibilities that you will face while playing this game on a large terrain map. You can play solo, Duo or Squad. The servers are located in Asia, Europe, America and Europe so Internet lag shouldn’t be much of an issue. I got a South East Asian server with a ping of 150 MS which was playable without any hiccup. – Easier weapons loot with the presence of MIRACLE boxes that glow like Infinity stones all around the map. You can equip yourself with enough weapons to defend before engaging with enemies in a fire-power battle. – Inability to choose a region of server or map. An extremely light game with the size of mere 53 MB (and 120 MB in-game update). 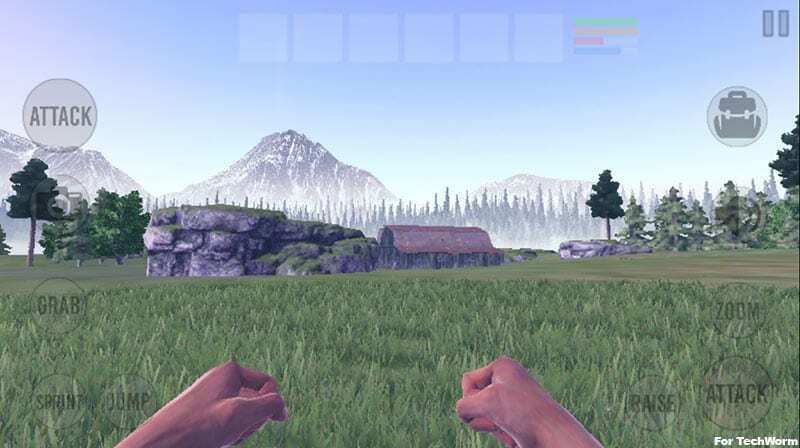 The game is not an open world, however, it has a real-time strategic role play game with a map to reach different parts of the place. Training and tutorial were fairly easy to understand tutorial, which took me 8-10mins of assisted gaming to a get a game of the general gameplay. You can play in a 20 player game, which can last up to 20 mins on a map. The game has Single tap fight option. You equip yourself with different weapons and accessories to increase the chances of winning the duel against an opponent. There are over 600 weapons to chose from. There is no Medkit like a classic battle royale game. You rely on your cooking skills in the game to heal yourself. Occasional discovery of Ocean Potion can do the trick as well. – Easy weapon drops. Weapons are easy to find on the map, unlike other games. It is published by Garena, a gaming platform giant in Asia. Since 2009, they have been publishing games in different genres. 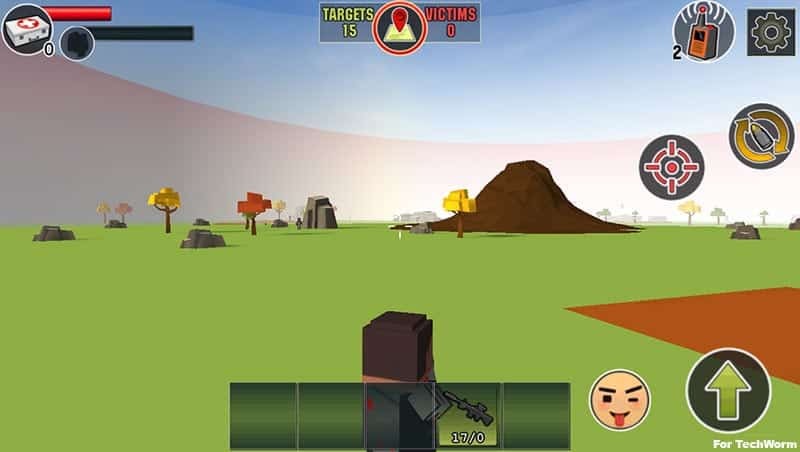 This Battle Royale game is played against 49 players in a 10-minute game, which is ideal for a quick game. Short duration games are good for players who don’t like camping, which is disliked by many aggressive players. 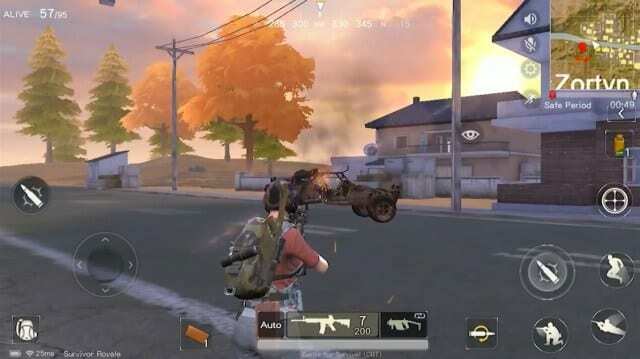 Free Fire is a game like PUBG Mobile with same the kind of gameplay and open world aesthetics. Matchmaking is pretty swift and took me around 10-12 seconds to get a match. You get dropped from the sky with a parachute and has the option to swerve in your own direction to land. Squad size can be as big as 4 players. The thing that will keep me engaged in this game is their “Death Race” mode. The mode where 2-player team squads on a vehicle, collective powerful boosters for survival before their opponents get to them. You might experience a bit of Minecraft nostalgia if you play this one. Fans of a blocky pixel might find this game really hiting home. You drop from a helicopter in the sky. Matchmaking is fairly quick. There are no direction buttons on the screen, you can tap anywhere and an on demand direction wheel will appear where under the finger. When you hit the play button in the main menu, a bus arrives. A scientist in a radioactive suit ges off and stabs you in the back and gets you to the waiting ground from where you board the drop Helicopter after a wait that can last upto 75 seconds. The Zombie mode doesn’t seem to work for me or my friends. I have reported the issue to the developer, awaiting acknowledgment. The biggest downside I could find after an hour of gameplay is the unskippable video ad of 28-30 seconds after every game. – Easy weapon drops. Weapons are easy to find in the map unlike other games. – Shooting crosshair movement. The game is in development so we should give them leeway for now. All the Counter 1.6 fans can cheer for this one. Battle Royal Strike feel like just another player in the list of games like PUBG Mobile but its just that all. You get all the guns available in Counter Strike plus rocket launchers among the crazy mods that they keep on adding. The game’s menu is as simple as it gets. When you hit the RIGHT ARROW button, it takes you to a lobby list. You can either join the lobbies with vacant slots or start your own. When you join the lobby and game starts, you get the option of joining either of the teams. Blue or Red. The game length is set manually by the lobby leader. It can be as long as 20 minutes. Both team get 1 point each for killing opponent’s teammate. At the end of map length, the team with maximum points is deemed as the winner. There are no ranks or leadership boards. Its a casual team vs team game. – Fairly easy to get grip on the game within few games. – No ranking system or leadership board. It becomes snooze fest after few months when you realize that your all the hours you put in the game is not taking you in nowhere in any recognition to boast about with your peers, friends. It’s about the last man standing kind of survival. Open world game in the alpha phase of development, with developers constantly bringing new updates to remove glitches and introduce features. Did I forget to mention that its crossplatform? meaning it can be played with players, friends on other platforms like iOS. You are pitted against upto 26 players in an open world with ma ap based on serene and beautiful places around the world. The mountains and attention to vegetation movement is highly emphasized as I observed playing it for the first time. When you launch the game, a menu with an option to set nick name appears. Then you get a list of servers with vacant slots to join. You jump into the server and loot from already dead player’s body, which is NSFW for many, which is why I think its rated PG 16. A game by the makers of Rules of Survival. The similarities between Rules and this one cannot be written off. 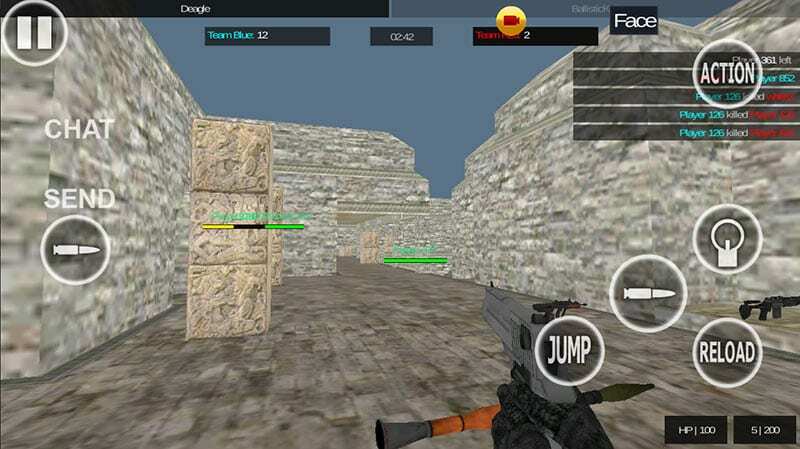 The controls on the screen are intuitive and can be used without much difficulty. There is a Safe circle which you have to reach as the play area gets smaller with time. Failure to do that you will suffer from damage which will reduce your health and eventually lead to death if failed to reach the Safe Circle. 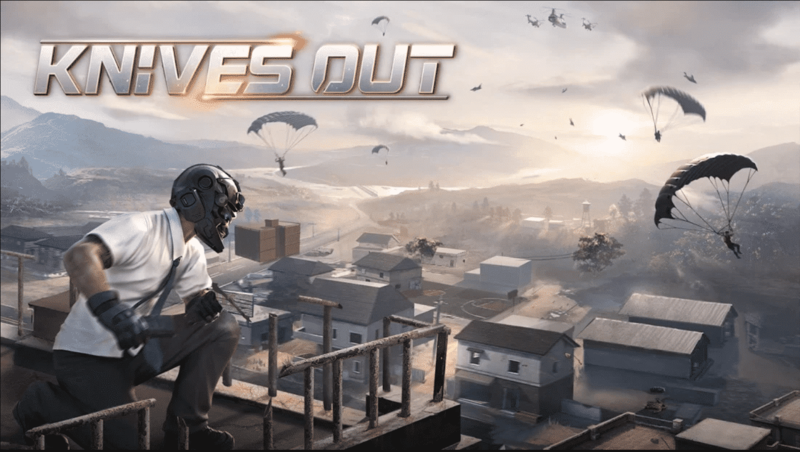 Another popular battle royale game Knives out is also similar to PUBG mobile with the same game moto of 100 players entering the game arena and last one standing wins the game. This game is developed by NetEase Games. Visual of this game is just amazing and it is well known for its smooth gameplay and high graphics. – This Game still needs lots of improvements. 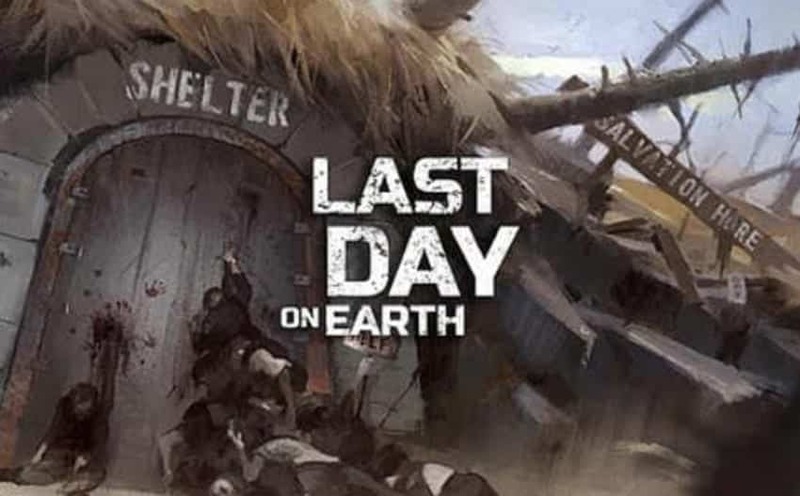 Another best survival game for smartphones. In order to survive in his game, you will have to kill zombies. and the last man standing wins the game. Explore the large and deep-laid map of this game! Upgrade your hero/character, equip your house, loot abandoned territories, hunt wild animals and other survivors. 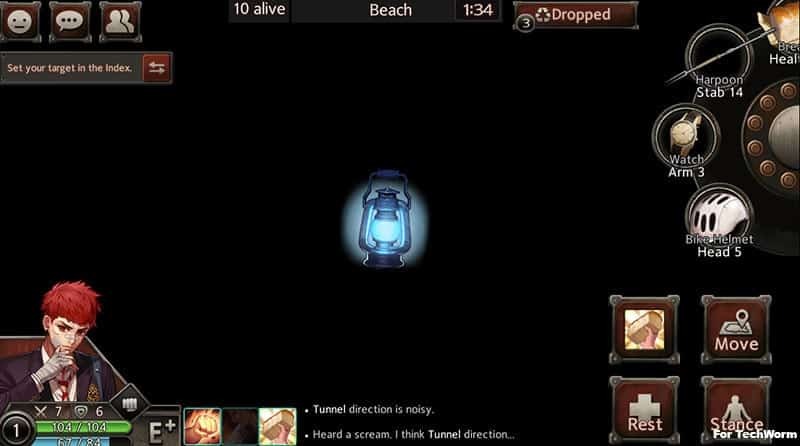 While this game might be a bit different to PUBG Mobile. but you will surely love to play it. Survivor Royale is another replication of PUBG Mobile. This popular battle Royale games also has the same gameplay with 100 people entering the game and last one standing winning it. In this Game, Over the course of 20 minutes, the playable area contracts, forcing survivors into a fight to the death. The last man standing. 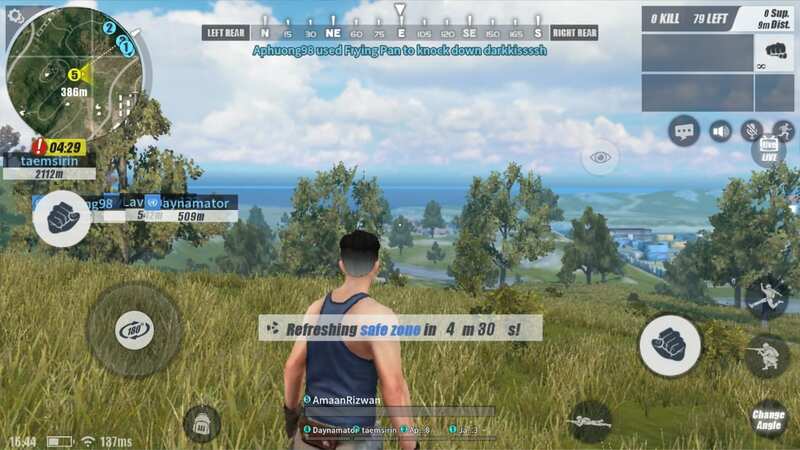 Found your PUBG Mobile style alternative? There are a lot of battle royale games in the mobile gaming market other than PUBG Mobile, the market leader but one question stands out if it is perfect that you need to ask yourself. Which game is best for me? Although I laid out the good and bad about probably the best games like PUBG mobile, it all boils down to your preference and liking for it. PS: I am ''NOT'' posting this article to take PUBG down but to change your game-play experience and view.